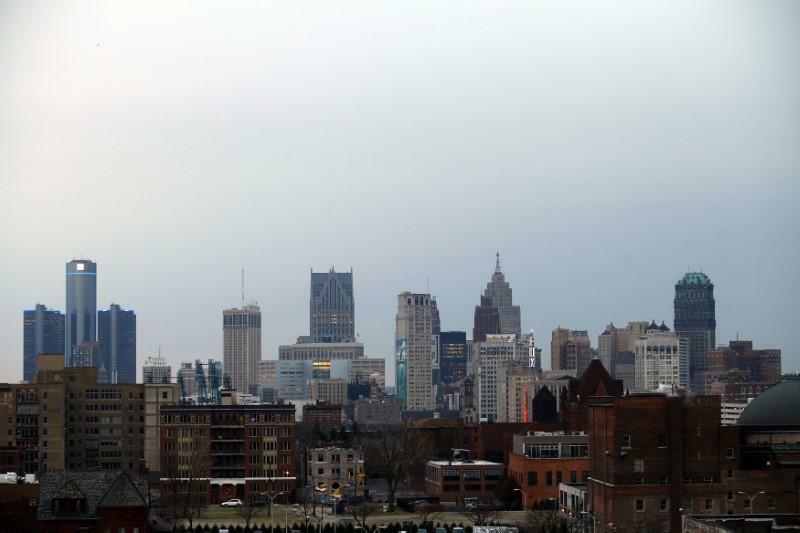 CHICAGO (Reuters) - Detroit on Tuesday sold its first standalone bonds since exiting bankruptcy four years ago to U.S. municipal market investors, who snapped up the debt albeit at hefty yields. The unlimited-tax general obligation bond issue sold solely under the city's junk-rated credit was increased to $135 million from nearly $111 million due to strong investor demand and "attractive borrowing costs," according to John Hill, Detroit's chief financial officer. He attributed the deal's success to a combination of market conditions and the city's message of how far it has come since it ended what was then the biggest-ever U.S. municipal bankruptcy in December 2014. "This shows we're back in the market now on our own credit. It's quite a milestone," Hill said. The deal also sends a message to other financially distressed issuers that a bond default or bankruptcy may not lock them out of the $3.8 trillion muni market for that long, according to Nicholos Venditti, a portfolio manager at Thornburg Investment Management. "My goodness, this is a pretty quick turnaround from bankruptcy to selling debt in a very short amount of time," he said. Detroit's bonds were sold amid a muni market price rally that lowered yields on Municipal Market Data's (MMD) benchmark scale as much as 8 basis points, while U.S. Treasury yields also fell and U.S. stock indexes suffered steep drops. Yields topped out at 4.95 percent for bonds due in 2038 with a 5 percent coupon. Spreads over MMD's triple-A yield scale ranged from 183 basis points in 2023 to 200 basis points in 2033 and 190 basis points in 2038. Daniel Berger, MMD's senior market strategist, said investors "were willing to give (Detroit) a fresh start, but at a high-yield price." He said spreads in the city's deal were comparable to those in last week's junk-rated Chicago Board of Education GO bond sale. Venditti said the bonds' pricing had less to do with Detroit's post-bankruptcy story and more with market dynamics. "Yield is still very, very difficult to find and hey here's some yield," he said. The bonds were rated three to four notches below investment grade at Ba3 by Moody's Investors Service and B-plus by S&P Global Ratings. Detroit tapped voter-approved authority that dates back to 2004 and 2009 for the bonds, which will fund capital projects. Ahead of the sale, Detroit officials touted improvements in the city's financial management, budget, and services as well as increased economic development. The bankruptcy, which was eclipsed by Puerto Rico's 2017 filing, allowed the city to shed about $7 billion of its $18 billion of debt and obligations. Michigan's largest city was able to terminate active post-bankruptcy oversight of its finances in April after concluding three straight fiscal years with balanced budgets.